Boat Description The 260 Sundancer has the sleek good looks and high-caliber performance you`d expect from a much larger, much more expensive cruiser. 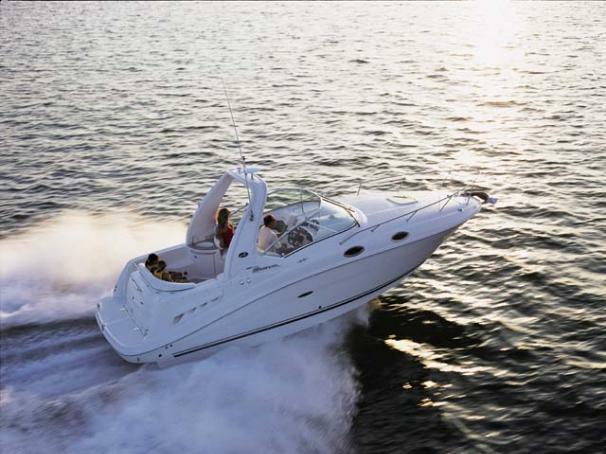 No other boat in its class can offer the luxurious appointments found in the 260 Sundancer. It`s packed with creature comforts inside and out. Smoothly powered by a MerCruiser 300 hp 350 Magnum MPI Bravo II stern drive, the 260 Sundancer is truly a boat that lets you and your guests get the utmost enjoyment out of the weekend.